Arizona Lakes – Who said we don’t have water? Editors Note – We at Arizona Boating & Watersports and Western Outdoor Times are proud to feature many of Anderson’s stories and pictures over the past ten years. Margie and her husband John have been a part of the Arizona Outdoors for many years. They are ardent enthusiasts of boating, camping, fishing, hiking, hunting, RVing, wildlife, and photography. It would be hard to find an Arizona couple who know more about the hidden treasures of Arizona’s outdoors. Click here to email Jim and find out how you can list your lakeside business on this page. Arizona Lakes identifies the Arizona County in which each lake is located. If you would like to add to the list of services on or near each lake please send your information to Arizona Lakes. Information should be centered around boating, camping, fishing, hiking, hunting, RVing and wildlife. Greenlee County, AZ – White Mountains southwest of Alpine, Arizona off State Route 191. This lake is located in and administered by the Apache-Sitgreaves National Forest. Alamo Lake – La Paz County, AZ – Alamo is one of Arizona’s best Bass Fishing Lakes and is 75 miles northwest of Phoenix. Alamo Lake can be dynamite in April. The average high temperature is 79 degrees and the average low is 44 degrees. Bass may be spawning, and crappie fishing will be great. With all the rain we’ve had, the ramps are open now and it’s a great place to go. … Click here for the full story. Apache Lake is 45 miles east of Phoenix and is created by the Horse Mesa dam. Apache Lake is one of four artificial reservoirs created along the Salt River in central Arizona as part of the Salt River Project. The lake is located near the Apache Trail about 65 miles (104 km) northeast of Phoenix. Apache Lake was formed by Horse Mesa Dam which was completed in 1927. The second largest of the four Salt River Project reservoirs (Theodore Roosevelt Lake is the largest), Apache Lake is located about 5 miles (8 km) downstream from Theodore Roosevelt Lake and upstream from Canyon Lake and Saguaro Lake. The surface area of the lake is 2,568 acres (1,039 ha) at full capacity and it can store 254,138 acre-ft (313,475,000 m3) of water. The facilities are maintained by the Arizona Game and Fish Department. Fish species: Largemouth Bass, Sunfish & Channel Catfish. Bass Junkyz Fishing Tournament At Bartlett Lake. 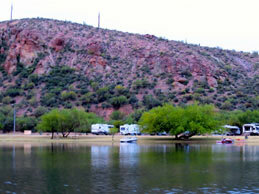 Bear Canyon Lake is a lake built by Arizona Game and Fish Department for angler recreation. The facilities are maintained by Apache-Sitgreaves National Forest division of the USDA Forest Service. Bear Canyon Lake consists of 60 acres (24 ha) with a maximum depth of 50 feet (15 m). It lies at 7,560 feet (2,300 m). The Department stocks it with catchable-sized rainbow trout about six times each year. Apache County, AZ – Becker Lake is managed as a trophy trout lake. Located near Springerville, it also includes the 622-acre (252 ha) Becker Wildlife Area, where wintering bald eagles can be spotted most years in nearby cottonwood trees. Built around the year 1880, Becker Lake is one of the oldest reservoirs in the White Mountains. The Arizona Game and Fish Department acquired the lake and property around it in 1973. The lake is located at 6,910 feet (2,110 m). If your up at Becker Lake you can expect to catch brown and rainbow trout. The fish there get big because of the bag limits set along with the limitations on bait. Fly fishermen have excellent luck with Nymphs and midges. The best months to go the Becker Lake are April, May and September. The lake has a boat ramp, dirt parking and barrier-free restroom. The Department has developed two hiking trails through the Wildlife Area. Fish species include Rainbow & Brown Trout. Becker Lake is two miles northwest of Springerville off US 60. Apache County, AZ – Big Lake is considered one of the White Mountains’ best fishing lakes, because of its size, productivity and visitor amenities. As with most trout waters in Arizona, catch rates are best in spring, during late April and May after the winter ice thaws, and gets better later in the summer and into fall until freezing over again in late November. Big Lake is located in Apache County and managed by the Apache-Sitgreaves National Forest. Situated at 9,000 feet (2,700 m) in the Apache-Sitgreaves National Forests, Big Lake is located about 30 miles (48 km) south of Springerville and Eagar, accessed by paved road via Highways 260 and 261, and is approximately one hour’s drive from Pinetop using Highways 260 and 273 and Forest Road 113. Access is restricted in the winter when roads are closed due to snow, generally December to early April. In January, the normal high temperature is 44F with a normal low temperature of 14F. In July, the normal high temperature is 73F with a normal low temperature of 45F. Big Lake has 450 acres (180 ha), with an average depth of 16 feet (4.9 m). Primary fish species here include rainbow, brook and cutthroat trout, with an occasional Apache trout, Arizona’s official state fish. Each year, the Department stocks an average of 200,000 fingerling (three inch) and 50,000 subcatchable (six inch) trout. Most of these are rainbows. Catchable-sized Apache trout are sometimes stocked during hot summer months as water conditions deteriorate at other lakes. Fish species include Rainbow, Apache trout, Brook & Cutthroat. Navajo County, AZ – Black Canyon Lake is a lake the Arizona Game and Fish Department built in the 1960s along the Mogollon Rim to provide water recreation opportunities for the public. Despite being affected by the 2002 Rodeo-Chediski Fire, Black Canyon Lake remains a popular and beautiful spot for picnics, camping and fishing. Because of the fire, the entire area around Black Canyon Lake is open for day use only due to the danger of falling trees. The facilities are maintained by Apache-Sitgreaves National Forest division of the USDA Forest Service. Coconino County, AZ – Blue Ridge Reservoir is located in the Mogollon Rim area of the state of Arizona. The closest town Strawberry is 30 miles (48 km) away. Blue Ridge Reservoir is one of the more scenic reservoirs in the area, with trees going down to the water line. The facilities are maintained by Coconino National Forest division of the USDA Forest Service. Fish species include Rainbow Trout, Brown Trout and Green Trout. Apache County, AZ – Bunch Reservoir is one of a trio of lakes on the Little Colorado River that provides trout fishing opportunities in and around the town of Greer. Bunch Reservoir is located at 8,260 feet (2,520 m) on the Apache-Sitgreaves National Forests. The Greer Lakes, as they are collectively known, include Bunch, Tunnel and River Reservoirs, and are a short distance apart from each other. Bunch is 20 acres (81,000 m2) in size, and has an average depth of 10 feet (3.0 m). The Department stocks the lake with catchable-sized rainbow trout in the spring and summer. Like its two neighboring reservoirs, Bunch gets a few brown trout from the Little Colorado River diversion that refills it in the winter, but browns are not stocked here. Fish species include Rainbow and Brown Trout. Maricopa County, AZ – Canyon Lake is one of four reservoirs that were formed by the damming of the Salt River in the U.S. state of Arizona. Fish species include Rainbow Trout, Largemouth Bass, Smallmouth Bass, Yellow Bass, Crappie, Sunfish, Catfish (Channel), Walleye and Carp. Apache County, AZ – Near Eager/Springerville – A shallow lake with a brief and colorful history, Carnero Lake can grow some big fish. Built in 1979, the lake quickly became popular with anglers, to the dismay of downstream water users. Because of the dispute, the Arizona Game and Fish discontinued stocking for many years. In 1999, the Arizona Game and Fish has acquired a major share of the water rights, setting the stage for a new and vigorous trout fishery. Carnero Lake is located at 9,033 feet (2,753 m) on the Apache-Sitgreaves National Forests. Due to snow and ice, these roads are typically closed from mid-November to mid-April. Carnero Lake is a shallow 65-acre (26 ha) headwater impoundment of Carnero Creek. It has a maximum depth of ten feet. It’s quite weedy, which is problematic for fishing, but is also an indicator of a highly productive lake. It’s stocked with subcatchable and catchable-sized rainbow trout in the spring. Because it’s at high elevation and shallow, it’s subject to periodic winter kills. Coconino County, AZ – Cataract Lake is located near Williams in North Central Arizona. Fish species include Rainbow Trout, Brown Trout, Largemouth Bass, Crappie, Sunfish and Catfish (Channel). Coconino County, AZ – Chevelon Canyon Lake is a small reservoir located in northern Arizona, about 15 mi (24 km) west of the city of Heber. It is one in a series of small, canyon-bound lakes located on the Mogollon Rim, collectively referred to as the Rim Lakes. It is among the most difficult to access in the region. Hiking is required. It is also the second reservoir on Chevelon Creek, downstream from Woods Canyon Lake. Amenities are limited to primitive campsites. In spite of the lake’s remoteness and lack of access, it is a premier fishing location due to its stock of rainbow and brown trout. The facilities are maintained by Apache-Sitgreaves National Forest division of the USDA Forest Service. Navajo County, AZ – Clear Creek Reservoir is located in the town of Winslow which is in Navajo County. Graham County, AZ – Cluff Ranch Ponds are located in the base of north slope of the Pinaleno Mountains in southeastern Arizona. The town of Pima is 5 miles (8.0 km) away, and the city of Safford is 7 miles (11 km) away. The facilities are maintained by the Arizona Game and Fish Department. Coconino County, AZ – Coconino Reservoir is located near Flagstaff in North Central Arizona and is just half mile south of Ashurst Lake. Recreational facilities are maintained under the authority of the Coconino National Forest. Fish species include Rainbow Trout, Sunfish and Bullhead. Apache County, AZ – Concho Lake is an irrigation reservoir situated in the town of Concho, in the eastern Arizona grasslands at 6,300 feet (1,900 m). Much of the surrounding land is privately owned; the rest is owned by the Bureau of Land Management, but is managed for sport fisheries and wildlife resources by the Arizona Game and Fish. Concho Lake is a small, shallow, weedy lake. It has 60 acres (24 ha) with a maximum depth of 16 feet (4.9 m) and an average depth of 6 feet (1.8 m). A small watershed and nearby spring feed the lake. Following current management plans, the Arizona Game and Fish stocks catchable-sized rainbow trout during spring months. Green sunfish and an occasional largemouth bass also occur at this lake. The lake gets drawn down considerably in the summer for irrigation. Fish species include Rainbow, Largemouth Bass and Sunfish. Apache County, AZ – Crescent Lake is located approximately 2 miles (3.2 km) north of Big Lake. The lake sits at just over 9,000 feet (2,700 m) elevation on the Apache-Sitgreaves National Forests, as such the facilities located here are managed by that authority. Access is restricted in the winter when roads are closed due to snow, generally December to early April. Crescent Lake has 100 acres (40 ha), with an average depth of 10 feet (3.0 m). It’s a highly productive lake, which allows trout to gain size quickly. However, the lake is shallow, which encourages weed growth and algae blooms, and makes it subject to late summer and winter fish kills. To manage the problem of winter kills, the Arizona Game and Fish stocks the lake with large numbers of catchable rainbow trout and brook trout each spring. In addition, the Arizona Game and Fish removes weeds annually with a floating weed mower. Fish species include Rainbow trout and Brook trout. County, AZ – South of Holly Lake. Graham County, AZ – Dankworth Pond is located 8 miles (13 km) south of Safford in southeastern Arizona. The pond is fed by a live Artesian spring which is very warm to the touch (~90°). Fish species include Largemouth Bass, Crappie, Sunfish and Channel Catfish. Yavapai County, AZ – Deadhorse Lake is located near Clarkdale in North Central Arizona. Fish species include Rainbow Trout, Largemouth Bass, Sunfish and Channel Catfish. Coconino County, AZ – Dogtown Reservoir is located near Williams in North Central Arizona. Recreational facilities at the reservoir are maintained under the authority of the Kaibab National Forest. Fish species include Rainbow Trout, Brown Trout, Largemouth Bass, Crappie, Sunfish and Channel Catfish. There is a boat launch. Yavapai County, AZ – Fain Lake is located near Prescott Valley in North Central Arizona. Fish species include Rainbow Trout, Largemouth Bass, Catfish (Channel), Catfish (Flathead) and Bullfrogs. Navajo County, AZ – Fool Hollow Lake is a public lake located in Navajo County, Arizona, near the city of Show Low. The lake is operated by the Arizona State Parks Department, and consists of 150 acres (61 ha), with an average depth of 23 feet (7.0 m) together with a variety of fish species. Fool Hollow Lake is located less than 2 miles (3.2 km) from downtown Show Low, Arizona. Fool Hollow was named for a hapless settler who attempted to farm the rocky canyon in the 1880s. The Arizona Game and Fish Department constructed the lake in 1957 specifically to provide water-oriented outdoor recreation. The lake consists of 150 acres (61 ha), with an average depth of 23 feet (7.0 m). It is located within the Fool Hollow Recreation Area, and is cooperatively managed by the Arizona State Parks, the U.S. Forest Service, the Arizona Game and Fish Department and the City of Show Low. The elevation is 6,260 feet (1,910 m). It contains self-sustaining populations of Largemouth and Smallmouth Bass, Sunfish, Walleye, Carp, Black Crappie, Channel Catfish and Crayfish. The Arizona Game and Fish Department stocks the lake with Rainbow Trout throughout the spring and summer. Graham County, AZ – Frye Mesa Reservoir is located in southeastern Arizona, 15 miles (24 km) southwest of Safford in the Coronado National Forest. Fish species include Rainbow Trout, Brown Trout, Brook Trout and Gila Trout. Yavapai County, AZ – Goldwater Lake is a reservoir formed by a dam on Goldwater Creek, located south of Prescott in North Central Arizona. This lake is maintained by the City of Prescott Parks and Recreation department. The park has facilities for picnicking, fishing, boating, hiking, volleyball, and horseshoes. Fish species include Largemouth Bass, Crappie, Sunfish, Catfish (Channel), Rainbow Trout and Brook Trout. Yavapai County, AZ – Granite Basin Lake is located about 15 minutes from Prescott, in North Central Arizona. Located in the Prescott National Forest, it is adjacent to the Granite Mountain Wilderness Area. Construction begain on the dam in 1937 by the Civilian Conservation Corps and was completed in 1939. The Raft, a segment of the movie Creepshow 2, was filmed here. Fish species include Largemouth Bass, Sunfish and Catfish (Channel). Boat Launch at Granite Basin Lake. Apache County, AZ – Hawley Lake is located on the White Mountain Apache Indian Reservation. Ice-fishing, boat rentals, cabins, camping and Hawley Lake Resort are available. Hawley Lake is a 300-acre (120 ha) lake and place in east-central Arizona, in the White Mountain Apache Indian Reservation, and has an elevation of 8,200 feet (2,500 m). Hawley Lake is notable for being one of the coldest spots in the State of Arizona, in all seasons. It holds the all time record low temperature in Arizona history with -40 °F (-40 °C) recorded on January 7, 1971. Maricopa & Yavapai Counties, AZ – Horseshoe Lake is Located 10 miles north of Barlett Lake. Horseshoe Lake is a reservoir that was formed by the Horseshoe Dam on the Verde River in the U.S. state of Arizona. This lake is located inside the Tonto National Forest, as such the facilities located here are managed by that authority. Horseshoe Lake is the first of the Salt River Project lakes to be very low when irrigation and domestic water requirements dictate. As a result, it can be virtually dry for long periods of time causing the boat ramp to be entirely out of the water. To reach Horseshoe Lake, take Cave Creek road north out of Phoenix to Bartlett Dam road. About 10 miles before your reach Bartlett Lake take a left on Horseshoe Dam Rd. This road will be a washboard with a few pot holes and possibly a small stream to cross during the rainy seasons. This road will lead you right to the lake. Fish species include Largemouth bass, Smallmouth bass, Crappie, Sunfish, Catfish (channel), Catfish (flathead) and Walleye. Yavapai County, AZ – Horsethief Basin Lake is located near Crown King in central Arizona. The lake features a dam which is open to pedestrians and anglers. Fish species include Largemouth Bass, Sunfish and Catfish (Channel) (stocked). Apache County, AZ – Hulsey Lake is a lake near Escudilla Peak in the Apache National Forest, Arizona. It is located at 8,620 feet (2,630 m) on the Apache-Sitgreaves National Forests. It is an impoundment of Hulsey Creek, a tributary of Nutrioso Creek. Due to snow and ice, the lake is usually inaccessible from November to mid-April. Hulsey Lake is 4 acres (1.6 ha) in size, with a maximum depth of 12 feet (3.7 m) and an average depth of 10 feet (3.0 m). The area around the lake is heavily forested, and the tree line comes down to the shoreline. The Arizona Game and Fish Department stocks Hulsey Lake with rainbow trout in the spring and early summer. The lake gets weedy in summer months, and high pH levels prevent stocking as the season progresses. The lake frequently has a winter kill; there is typically no overwinter survival. Yuma County, AZ & Imperial County, CA – The Imperial Reservoir is an artificial lake formed by the construction of the Imperial Diversion Dam across the Colorado River in the Lower Colorado River Valley of Imperial County, California, and Yuma County, Arizona. A component of the Imperial National Wildlife Refuge, the reservoir is 16 miles (26 km) northeast of Yuma, Arizona. Dry washes are the major watershed feed systems to Imperial Reservoir. The next upstream major watershed feeder is the Bill Williams River from western Arizona. Upstream on the Colorado River, the basic feeder watershed to Imperial Reservoir is the Havasu-Mojave Lakes Watershed, of Lake Havasu. Two dry wash watershed attempt to enter the Imperial Reservoir from western Arizona, south of the Bill Williams River: the Bouse and Tyson Washes. Both washes end on the eastern perimeter of the Colorado River Indian Reservation along the Colorado River. Neither enters the river proper, except in extreme flood stage. No “lengthy” watersheds flow eastwards from California; all are short distance, in the extreme aridity of this desert region. Coconino County, AZ – J. D. Dam Lake is located 19.5 miles (31.4 km) south and east of Williams in North Central Arizona. Coconino County, AZ – Kaibab Lake is located about 4 mi (6.4 km) northeast of Williams in North Central Arizona. Camping is permitted at the campgrounds managed by the Public Lands Interpretive Association. Fish species include Rainbow Trout, Largemouth Bass, Sunfish and Catfish (Channel). Coconino County, AZ – Kinnikinick Lake is located 38 mi (61 km) south of Flagstaff in North Central Arizona within the Coconino National Forest. Prairies of Juniper surround the lake and typically abound with Pronghorn Antelope. Bald Eagles are often seen during the fall and winter months. The facilities are maintained under the authority of the Coconino National Forest. Fish species include Rainbow Trout, Catfish (Channel) and Bullhead. Coconino County, AZ – Knoll Lake is part of the Blue Ridge Ranger District of the Coconino National Forest. It gets its name from a rocky island located in the middle of the lake. Knoll Lake is located in Leonard Canyon, Arizona, along the Mogollon Rim. This 75-acre (30 ha) lake is located at 7,340 feet (2,240 m) elevation and is closed to visitors in the winter months. Bald eagles can be seen during the winter month’s if the roads are open late into the season. The facilities are maintained by Coconino National Forest division of the USDA Forest Service. Fish species include Rainbow Trout, Brown Trout and Brook Trout. Mohave County, AZ – Lake Havasu is located on Arizona’s western border off Arizona 95. Lake Havasu is a large reservoir behind Parker Dam on the Colorado River, on the border between California and Arizona. Lake Havasu City sits on the lake’s eastern shore. The lake has a capacity of 648,000 acre feet (799,000 dam³). The concrete arch dam was built by the United States Bureau of Reclamation between 1934 and 1938. The lake’s primary purpose is to store water for pumping into two aqueducts. Fish species include Sunfish, Largemouth Bass, Smallmouth Bass, Striped Bass, Crappie, Sunfish, Catfish (Channel), Catfish (Flathead) and Carp. Arizona Lakes, Arizona Pros – Dean Rojas Dean Rojas is an Arizona fisherman who is nationally known. He makes his home in Lake Havasu City, and he fishes tournaments all over … Click here for the full story. Aqueducts – Mark Wilmer Pumping Plant pumps water into the Central Arizona Project Aqueduct. Whitsett Pumping Plant is located on the lake and lifts the water 291 feet (89 m) for the Colorado River Aqueduct. Gene Pumping Plant is just south of Parker Dam and gives the water an additional boost of 303 feet (92 m). The Colorado River Aqueduct has three more pumping plants, Iron Mountain, 144 feet (44 m), Eagle Mountain, 438 feet (134 m) and Julian Hinds, 441 feet (134 m). The total lift is 1,617 feet (493 m). Coconino County, AZ – Lake Mary may refer to one of two reservoirs in northern Arizona, southeast of Flagstaff. The name may also be used to refer to the two lakes as a whole. The pair of lakes impound the intermittent Walnut Creek upstream from Walnut Canyon. Recreational facilities at both lakes are maintained under the authority of the Coconino National Forest. Upper Lake Mary, the further upstream of the two lakes, is formed by a small earthen dam on Walnut Creek. The lake is long and narrow, with a maximum length of about 5 miles (8 km), and a maximum width of about 2,000 feet (610 meters). During dry seasons the lake will narrow and shorten. The lake is named after Mary Riordan, a daughter of the wealthy lumber barons who built the lake in 1905 for a water supply for Flagstaff. Upper Lake Mary is also stocked with several fish species for angling, including crappie, sunfish, channel catfish, northern pike and walleye. Largemouth bass, yellow bass and yellow perch are sometimes reported to be found in the lake, as well. Coconino County, AZ – Lower Lake Mary is the second reservoir in the system, located just downstream of the upper lake. It is the smaller of two lakes, reaching a maximum length of 3 miles (5 km) during wet seasons. At its maximum capacity, the lake fills the valley from the small earthen dam at its head to the foot of the dam holding back Upper Lake Mary. During dry seasons, however, the lake has a tendency to dry up completely, except for small pools along the dam. Due to its tendency to dry up, the lake does not have the water sports appeal of its upstream sibling. The lake is regularly stocked with fish, including rainbow trout, sunfish and channel catfish. During particularly wet years when the lake remains full for an extended period of time, northern pike may be stocked, as well. Both lakes are also home to populations of elk and deer. The waters themselves attract various bird species including great blue heron and the bald eagle. During the warmer summer months, the region becomes a popular destination for birdwatchers. Mohave County, Arizona /Clark County, Nevada – Lake Mead is the largest reservoir in the United States. It is located on the Colorado River about 30 mi (48 km) southeast of Las Vegas, Nevada, in the states of Nevada and Arizona. Formed by water impounded by the Hoover Dam, it extends 112 miles (180 km) behind the dam, holding approximately 28,500,000 acre feet (35.2 km3) of water. The lake was named after Elwood Mead (1858-1936), who was the commissioner of the U.S. Bureau of Reclamation from 1924 to 1936 during the planning and construction of the Boulder Canyon Project that created the dam and lake. Lake Mead was established as the Boulder Dam Recreation Area in 1936, administrated by the National Park Service. It was then changed to the Lake Mead National Recreation Area in 1964, this time including Lake Mohave and the Shivwits Plateau under its jurisdiction. Both lakes and the surrounding area offer year-round recreation options. The accumulated water from Hoover Dam forced the evacuation of several communities, most notably St. Thomas, Nevada, whose last resident left the town in 1938. The ruins of St. Thomas are sometimes visible when the water level in Lake Mead drops below normal. At lower water levels, a high-water mark or “bathtub ring” is visible in photos that show the shoreline of Lake Mead. The bathtub ring is white because of the deposition of minerals on previously submerged surfaces. Jagged mountain ranges surround the lake, offering somewhat of a startling but beautiful backdrop, especially at sunset. There are two mountain ranges within view of the Boulder Basin, the River Mountains, oriented north-west to south-east and the Muddy Mountains, oriented west to north-east. From the Virgin Basin, you can view the majestic Bonelli Peak towards the east. Las Vegas Bay is the terminus for the Las Vegas Wash which is the sole outflow from the Las Vegas Valley. Lake Mead’s water level has three times fallen below the drought level (1125 feet above sea level). From 1953 to 1956, the water level fell from 1,200 to 1,085 feet (370 to 331 m). From 1963 to 1965, the water level fell from 1,205 to 1,090 feet (367 to 330 m). Since 2000 through 2008, the water level has dropped from 1215 to 1095. In 2009 the water level rose slightly due to cool winter temperatures and rainfall. In June 2010, the lake was at 39 percent of its capacity, and on Nov. 30, 2010 it reached 1,081.94 ft (329.78 m), setting a new record monthly low. Arrangements are underway to pipe water from elsewhere in Nevada by 2011, but since the primary raw water intake at Lake Mead could become inoperable as soon as 2010 based on current drought and user projections, Las Vegas could suffer crippling water shortages in the interim. Lake Mead draws a majority of its water from snow melt in the Colorado, Wyoming, and Utah Rocky Mountains. Since 2000 the water level has been dropping at a fairly steady rate due to less than average snowfall. As a result, marinas and boat launch ramps have either needed to be moved to another part of the lake or have closed down completely. The Las Vegas Bay Marina and the Lake Mead Marinas were relocated a few years ago to Hemenway Harbor. Overton Marina has been closed due to low levels in the northern part of the Overton Arm. Government Wash, Las Vegas Bay, and Pearce Ferry boat launch ramps have also been closed. The marinas that remain open include Las Vegas Boat Harbor and Lake Mead Marina all sharing Hemenway Harbor/Horsepower Cove, Callville Bay Marina, Echo Bay Marina, and Temple Bar Marina, along with the Boulder Launch Area (former location of the Lake Mead Marina) and the South Cove launch ramp. Changing rainfall patterns, climate variability, high levels of evaporation, reduced snow melt runoff, and current water use patterns are putting pressure on water management resources at Lake Mead as the population depending on it for water and the Hoover Dam for electricity continues to grow. A 2008 paper in Water Resources Research states that at current usage allocation and projected climate trends, there is a 50% chance that live storage in lakes Mead and Powell will be gone by 2021, and that the reservoir could drop below minimum power pool elevation of 1,050 feet (320 m) as early as 2017. Lake volume is now at the mercy of a cascade of forces that include the increased rate of evaporation caused by the smaller inventory of water in the reservoir; coupled with fact that it is very likely impossible that the prevailing climate pattern of profound drought will or can change to precipitation surcharge, in a time frame shorter than that in which the lake level will fall below the dead storage level of the downstream diversion, and hydro-power intake tunnels. However, one report by the Bureau of Reclamation states that water levels in the lake could rise significantly in 2011 due to a rainy winter and increased snowfall in the Rocky Mountains. The diversion tunnels, used during construction, are at an elevation at which the flow of the river would continue indefinitely. But they were permanently sealed with massive concrete plugs, isolating them from the remaining sections of the downstream outlet tunnels when the main dam began to be raised and, later when the lake was filled. Today, it is not very likely that they could be removed from the diversion tunnels. And in doing so, it would effectively be the admission that the Hoover Dam project was finished, and had been terminated unsuccessfully. But, Terry Fulp, manager of the federal bureau office for the lower Colorado, disagreed with the paper, saying that global climate models were not sensitive or refined enough to forecast such effects. Lake Mead offers many types of recreation to locals and visitors. Boating is the most popular. Additional activities include fishing, water skiing, swimming and sunbathing. There are five marinas on the lake: Forever Resorts at Callville Bay, Echo Bay, and Temple Bar Marina; and Las Vegas Boat Harbor along with Lake Mead Marina in Hemenway Harbor which are family owned and operated. The area also has many coves with rocky cliffs and sandy beaches. There are several small to medium-sized islands in the lake area depending on the water level. In addition, the Alan Bible Visitor Center has a small cactus garden of plants native to the Mojave Desert. At the bottom of the lake is a B-29 Superfortress that crashed in 1948 while testing a prototype missile guidance system known as “suntracker”. The wreckage of at least two smaller planes are also within Lake Mead. Camping, Water Skiing, Boating, Houseboat Rentals, and hiking. Mohave County, Arizona / Clark County, Nevada, USA – Lake Mohave is a reservoir formed by Davis Dam on the Colorado River, which defines the border between Nevada and Arizona in the United States. The lake lies at an elevation of 647 feet (197 m) near Laughlin, Nevada, Searchlight, Nevada, Cottonwood Cove, Nevada, and Bullhead City, Arizona, about 67 miles (108 km) downstream from Hoover Dam. The lake and adjacent lands forming its shoreline are part of the Lake Mead National Recreation Area administered by the U.S. National Park Service. Lake Mohave encompasses 28,260 acres of water. It is a much larger, deeper, and cleaner lake than Lake Havasu, although not as crowded or well-known. The water then flows into Lake Havasu. There are two resorts on Lake Mohave: Cottonwood Cove and Lake Mohave Resort. Both resorts have lodging, campgrounds, restaurant, store, and marina with gas dock. Popular recreational activities in Lake Mohave are swimming, kayaking, fishing, boating, and skiing. There are kayaking, scuba diving, and fishing supplies in Bullhead City, which borders the southernmost point of Lake Mohave. Lake Mohave offers year-round recreational opportunities. Its clear water caters to boaters, swimmers, and fishermen while its desert rewards hikers, wildlife photographers, and roadside sightseers. It is also home to thousands of desert plants and animals, adapted to survive in an extreme place where rain is scarce and temperatures soar. Lake Mead National Recreation Area, which encompasses Lake Mead, Lake Mohave and a portion of the Colorado River, offers good diving opportunities for both novice and advanced divers. At Lake Mohave, divers can explore Black Canyon, which has excellent diving conditions. Advanced divers can check out Ringbolt Rapids, where swift water makes for an additional challenge. Work Barge on the Arizona side has a 38-foot tow barge that sank in 1946. Cabinsite Point has two boat wrecks to view. Fish species include Rainbow, Largemouth Bass, Striped Bass, Crappie, Sunfish, Catfish (Channel) and Carp. Maricopa/Yavapai Counties, AZ – Lake Pleasant Regional Park is a large outdoors recreation area straddling the Maricopa and Yavapai county border northwest of Phoenix, Arizona. The park is located within the municipal boundaries of Peoria, Arizona, and serves as a major recreation hub for the northwest Phoenix metropolitan area. Lake Pleasant is used as a major water sports recreation center for the Phoenix metro area, as well as serving as an important storage reservoir for the rapidly growing region. A number of boat docks make the lake a popular destination for water skiing, jet skiing, sailing and other water sports, and the lake is stocked with a number of fish for angling purposes. Fish species include Largemouth Bass, White Bass, Striped Bass, Crappie, Sunfish, Catfish (Channel), Tilapia, Carp and Buffalo fish. AZ/UT – Lake Powell is a reservoir on the Colorado River, straddling the border between Utah and Arizona (most of it, along with Rainbow Bridge, is in Utah). It is the second largest man-made reservoir in the United States behind Lake Mead, storing 24,322,000 acre feet (30 km³) of water when full. Lake Powell was created by the flooding of Glen Canyon by the controversial Glen Canyon Dam, which also led to the creation of Glen Canyon National Recreation Area, a popular summer destination. The reservoir is named for explorer John Wesley Powell, a one-armed American Civil War veteran who explored the river via three wooden boats in 1869. In 1972, Glen Canyon National Recreation Area was established. It is public land managed by the National Park Service, and available to the public for recreational purposes. It lies in parts of Garfield, Kane, and San Juan counties in southern Utah, and Coconino County in northern Arizona. The northern limits of the lake extend at least as far as the Hite Crossing Bridge. A map centered at the confluence of the Escalante River 37°17’22?N 110°52’20?W? / ?37.28944°N 110.87222°W? / 37.28944; -110.87222 with the Colorado River gives a good view of the extent of the lake. Lake Powell is a storage facility for the Upper Basin states of the Colorado River Compact (Colorado, Utah, Wyoming, and New Mexico). The Compact specifies that the Upper Basin states are to provide a minimum annual flow of 7.5 million acre feet (10 km³) to the Lower Basin states (Arizona, Nevada, and California). Concrete placement started around the clock on June 17, 1960. The last bucket of concrete was poured on September 13, 1963. Over 5 million cubic yards (4,000,000 m³) of concrete make up Glen Canyon Dam. The Dam is 710 feet (216 m) high, with the surface elevation of the water at full pool being approximately 3700 feet (1100 m). Construction of the Dam cost $155 million, and 18 lives were lost in the process. From 1963 to 1966, turbines and generators were installed for hydroelectricity. On September 22, 1966, Glen Canyon Dam was dedicated by Lady Bird Johnson. Upon completion of Glen Canyon Dam on September 13, 1963, the Colorado River began to back up, no longer being diverted through the tunnels. The newly flooded Glen Canyon formed Lake Powell. It took 17 years for the lake to rise to the high water mark, on June 22, 1980. Since then the lake level has fluctuated considerably depending on the seasonal snow runoff from the mountains. Colorado River flows have been below average since the year 2000, leading to lower lake levels. In the winter of 2005 (before the spring run-off) the lake reached its lowest level since filling, an elevation of 3,550 feet (1,080 m) above sea level, which was approximately 150 feet (46 m) below full pool (elevation 3700′). Since 2005 the lake level has risen 78 feet (24 m), to a high elevation of 3,628 feet (1,106 m) above sea level in spring/early summer 2008. As of July 4, 2009, the lake level had exceeded 3640′. The confluences of the Escalante River and San Juan River lie within Lake Powell. The slower flow of the San Juan river has produced goosenecks where 5 miles (8.0 km) of river are contained within 1-mile (1.6 km) on a straight line. * Glen Canyon Dam, the dam that keeps Lake Powell the way it is today. (location: Lake Powell’s Arizona part) * Rainbow Bridge, one of the world’s largest natural bridges. (location: Lake Powell’s Utah part) * Hite Crossing Bridge, the only bridge spanning Lake Powell. Although the bridge informally marks the upstream limit of the lake, when the lake is at its normal high water elevation, backwater can stretch up to 30 miles (48 km) upstream into Cataract Canyon. The lake’s main body stretches up Glen Canyon, but has also filled many (over 90) side canyons. The lake also stretches up the Escalante River and San Juan River where they merge into the main Colorado River. This provides access to many natural geographic points of interest as well as some remnants of the Anasazi culture. Glen Canyon National Recreation Area draws more than two million visitors annually. Recreational activities include boating, fishing, waterskiing, jet-skiing, and hiking. Prepared campgrounds can be found at each marina, but many visitors choose to rent a houseboat or bring their own camping equipment, find a secluded spot somewhere in the canyons, and make their own camp (there are no restrictions on where visitors can stay). Anyone who camps further than a quarter of a mile from a marina, however, must bring a portable toilet. The burying of human waste in Glen Canyon National Recreation Area is prohibited. Pet waste must also be packed out. Fish species include Smallmouth Bass, Largemouth Bass, Striped Bass, Crappie, Sunfish, Catfish (Channel), Northern Pike, Walleye and Common Carp. Apache County – Eager-Springerville – Lee Valley Lake is Arizona’s highest elevation reservoir,situated at 9,420 feet (2,870 m) in the Apache-Sitgreaves National Forest near Mount Baldy. Access is restricted in the winter when roads are closed due to snow, generally December to early April. Lee Valley Lake has 35 acres (14 ha) with a maximum depth of 20 feet (6.1 m) and an average depth of 10 feet (3.0 m). It’s located on Lee Valley Creek, an Apache trout recovery stream. The Apache trout is Arizona’s official state fish. The creek naturally flows into the East Fork of the Little Colorado River, however, the spillway directs overflow to the West Fork of the Little Colorado River. Both streams are also designated for Apache trout recovery, thus Lee Valley Lake finds itself at the heart of three Apache trout recovery streams and is managed accordingly. Fish species include Apache Trout and Grayling. Coconino County, AZ – Long Lake is located in the Mogollon Rim area of the state of Arizona. It is located 75 miles (121 km) southeast of Flagstaff. The facilities are maintained by Coconino National Forest division of the USDA Forest Service. It is named after a legend of a long serpent type creature that was reportedly seen by ranchers as they herd cattle near the lake. Fish species include Rainbow Trout, Largemouth Bass, Sunfish, Channel Catfish, Northern Pike and Walleye. Apache County, AZ – Luna Lake is a natural body of water that covers approximately 75 acres (0.30 km2) of land. It is located about three miles (5 km) southeast of Alpine, Arizona at the elevation of 7,890 ft (2,400 m). Fish species include Rainbow, Cutthroat and Brook Trout. Apache County, AZ – The Lyman Reservoir is the largest lake in the region. Lyman Lake State Park, is located in and administered by the Apache-Sitgreaves National Forest, attracts anglers, as well as campers and water skiers year-round. Lyman Reservoir is located 17 miles (27 km) north of Springerville. An irrigation impoundment on the Little Colorado River, Lyman Reservoir consists of 1,400 acres (570 ha) situated at 5,980 feet (1,820 m). The lake lies entirely within Lyman Lake State Park. Water levels fluctuate, but when full, the average depth is 22 feet (6.7 m), with a maximum depth of 57 feet (17 m). Lyman Reservoir is a warm water reservoir containing largemouth bass, channel catfish, green sunfish, carp and a few walleye. The State Parks and Recreation Department maintains year-round visitor amenities. In the summer, there are interpretive tours of nearby petroglyphs. Coordinates 34°30’55?N 112°23’2?W – Lynx Lake, Arizona, is a 55-acre (220,000 m2) reservoir located within Prescott National Forest, approximately 5 miles (8.0 km) east of Prescott, Arizona, in the Bradshaw Mountains. The lake is located at 5,530 feet (1,690 m) elevation and is stocked for fishing. It is one of the most popular recreation areas in central Arizona. Mild weather, the cool ponderosa pine forest, trout fishing, boating, mountain hiking , horseback riding, archaeological sites, and bird watching attract visitors from throughout Arizona. The lake was formed in 1952, when a dam was put in Lynx Creek, 6 miles (9.7 km) below Walker, Arizona. Animals native to the area include mule deer, bald eagles, osprey, and javelinas. Several species have been introduced, including rainbow trout, bull frogs, and domestic ducks and geese. Arizona State Game and Fish Department periodically stocks the lake with rainbow trout. Largemouth bass and crappie are also present in the lake. The lake is open all year. Plant life in the area consists of ponderosa pine, beargrass, cliff-rose, and alligator juniper. Fishing: The lake is open year-round for fishing and is stocked with rainbow trout periodically by the Arizona Game and Fish Department. Sunfish and Catfish (Channel), as well as bullfrogs, may be caught here. Camping: Two National Forest Campgrounds near the lake offer 36 campsites. Boating: Non-motorized and electric-powered boats are permitted on the lake. Hiking: The 2- mile Lakeshore Trail loops around the lake. Yuma County, AZ – Martinez Lake is a lake in the southwestern corner of the U.S. state of Arizona, just north of Yuma, Arizona on the Lower Colorado River. Its area is about 300 to 500 acres (120 to 200 ha), depending upon where its boundary with the Colorado River is taken to be. Fish species include Largemouth Bass, Smallmouth Bass, Striped Bass, Crappie, Bullhead, Catfish (Channel), Catfish (Flathead), Tilapia, Redear Sunfish, Green Sunfish, Bluegill Sunfish, Carp and Bullfrogs. For great stories on Martinez Lake go to the top of this page and type in Martinez Lake in the search box. Coconino County, AZ, USA – McClelland Lake is located near Williams in North Central Arizona. Fish species include Largemouth Bass, Crappie, Sunfish, Catfish (Channel), Northern Pike and Yellow Perch. Yuma County, AZ, USA – Mittry Lake is located in the southwest corner of Arizona, just north of Yuma on the Lower Colorado River. It is located in between the upstream Imperial Dam and the downstream Laguna Dam. Mittry Lake comprises about 750 acres (300 ha), with much of the shoreline covered with cattails and bullrush. The lake has undergone rehabilitation work including marsh dredging, revegetation and fish habitat improvement, making it a great location for small game hunting and sport fishing. It is public land managed by both the Arizona Game and Fish Department and Bureau of Land Management, and available to the public for recreational purposes. Fish species include Largemouth Bass, Crappie, Bullhead catfish, Catfish (Channel), Catfish (Flathead), Tilapia, Redear Sunfish, Green Sunfish, Bluegill Sunfish, Carp and Bullfrogs. La Laguna was a mining town that was in existence for a short time from 1860 to 1862. The town had a few merchants and a ferry across the Colorado River that served placer miners in the vicinity. When the La Paz gold rush began, La Laguna was abandoned. Its former site now lies beneith Mittry Lake. Coconino County, AZ, USA – Mormon Lake is a shallow, intermittent lake located in northern Arizona. With an average depth of only 10 ft (3.0 m), the surface area of the lake is extremely volatile and fluctuates seasonally. When full, the lake has a surface area of about 12 square miles (31 million square meters), making it the largest natural lake in Arizona. In particularly dry times, the lake has been known to dry up, leaving behind a remnant marsh. A small settlement, Mormon Lake Village, was developed during wet years, and many homes have docks that are very far from the shoreline. Mormon Lake Lodge, the main centerpiece of the little town, now relies on a fishing pond located adjacent to the Lodge. The surrounding area, which lies within Coconino National Forest, is part of the largest continuous stand of ponderosa pine in North America, often hosting campers and hikers. The lake itself is occasionally stocked with fish species such as bullhead catfish and northern pike, but due to its intermittent nature it may contain few or no fish following dry seasons. Apache County, AZ – Anyone who has driven from Springerville to Alpine has seen Nelson Reservoir. A long and narrow lake, it follows the Nutrioso Creek Valley for nearly a mile. Fish that remain in Nelson Reservoir after summer stockings can grow to good size, making it a popular fishing site with local anglers. Nelson Reservoir is situated at 7,412 feet (2,259 m) on the Apache-Sitgreaves National Forests, as such the facilities located here are managed by that authority. Nelson Reservoir is located on Nutrioso Creek. It has 90 acres (36 ha) with a maximum depth of 24 feet (7.3 m) and an average depth of 8 feet (2.4 m). When the lake stops spilling in the spring, it is stocked with up to 20,000 catchable-sized rainbow trout until Labor Day. Stocking may end sooner if water quality conditions become unfavorable. Nelson Reservoir is subject to algae blooms and excessive weed growth as summer progresses. The lake contains native bluehead suckers and illegally introduced black crappie and green sunfish. The lake once contained brown, cutthroat and brook trout, but none remain today. Fish species include Rainbow, Crappie and Sunfish. Maricopa County, AZ – The Painted Rock Dam is an earthfill embankment dam located west of Gila Bend, Arizona. It is primarily used for flood control purposes. The Painted Rock Dam was constructed during a 3 year period from 1957-1960 by the United States Army Corps of Engineers to help control seasonal floods on the lower reaches of the Gila River. The river had no significant impediments between the Colorado River and the Coolidge Dam hundreds of miles upstream. As the river receives several tributaries, including the Hassayampa, Agua Fria rivers, and most importantly the Salt River and its major tributary, the Verde River. Due to a relatively large watershed of 50,800 square miles (132,000 km2), more than half of which is unregulated, the flood threat to small farming communities downstream on the Gila River is large, and seasonal flooding of these areas prior to the construction of the dam was significant. The area surrounding the dam has also hosted a number of historical events. The Butterfield Overland Mail route passed through the area, as did the path followed by the Mormon Battalion. Evidence of both can be found, as well as the expedition of Juan Bautista De Anza in 1774. Inscriptions made by these groups can be found in various sites in the region. Near the dam site, there is also a campground maintained by the Bureau of Land Management that showcases a number of prehistoric petroglyphs, indicating human involvement in the region long predating Western influence. The lake and reservoir are dry as of August 2009 and are closed to the public due to contamination of pesticide run off. This is in stark contrast to the level of upkeep during the 1990s. The state was forced to abandon the campground and the area is now marked as “NO TRESPASSING”. No hunting, hiking, or camping is allowed. The Army Corps of Engineers now maintains the property. The Painted Rock Reservoir is an artificial reservoir impounded by the Painted Rock Dam. The reservoir, with a maximum storage capacity of 2,491,700 acre feet (3.0735x 109 m3), has the potential to be the largest reservoir completely within the borders of the state of Arizona, but because the Gila River and its main tributary, the Salt River, are generally almost always completely diverted for irrigation and municipal water use for Phoenix, the lake is often dry. In 2005, heavy runoff filled the reservoir to record levels, swelling the lake to become the second largest by area in the state of Arizona, trailing only Theodore Roosevelt Lake. However, extremely high levels of pesticides, particularly the now-banned DDT, had built up in the farmlands upstream from the reservoir in the decades prior and accumulated in the lake during the flood. The extreme toxicity of the lake rendered it unsuitable for recreational uses and public access to both the lake and the dam was restricted. Similar runoff had filled the lake previously in 1993 and 1980, and in each instance the lake persisted only a few months before emptying due to losses through evaporation, downstream releases, and infiltration. Water impounded by the Painted Rock Dam caused the flooding of about 10,000 acres of the Tohono O’odham’s Gila Bend Reservation. The flooding destroyed a 750-acre tribal farm and several communities. Residents were relocated to a 40 acre parcel called San Lucy Village, Arizona. In 1986, the federal government and the Nation approved a settlement in which the Nation agreed to give up its legal claims in exchange for $30,000,000 and the right to add up to 10,000 acres of newly purchased land to its Reservation. Cochise County, AZ – Parker Canyon Lake is located in southeastern Arizona, 28 miles (45 km) southwest of Sierra Vista around the Huachuca Mountains and about 5 miles (8.0 km) north of the border with Mexico. The lake is a reservoir formed by a dam in Parker Canyon in the south end of the Canelo Hills in southwestern Cochise County. Parker Canyon is a tributary to the Santa Cruz River in the San Rafael Valley. The facilities are maintained by Coronado National Forest division of the USDA Forest Service. Santa Cruz County, AZ – Patagonia Lake is located south of Patagonia, Arizona, and northeast of Nogales. The lake was created by damming Sonoita Creek. Facilities are maintained by Arizona State Parks. Fish species Rainbow Trout, Largemouth Bass, Crappie, Sunfish, Channel Catfish, Flathead Catfish, Bullfrogs and Crawdads. Santa Cruz County, AZ – Pena Blanca Lake is a reservoir in Arizona, United States, located 18 miles (29 km) northwest of Nogales. The facilities are maintained by the Coronado National Forest division of the USDA Forest Service. As of July 2008[update], Pena Blanca Lake boat launch ramp is currently closed pending renovation of the facility. Fish species include Rainbow Trout, Largemouth Bass, Crappie, Sunfish, Catfish (Channel) and Bullfrogs. Coconino County, AZ – Perkins Tank is located south of Williams in North Central Arizona within the acreage of Kaibab National Forest. Pinal County, AZ – Picacho Reservoir is just 11 miles (18 km) south of Coolidge in central Arizona. The reservoir was built in the 1920s as part of the San Carlos Irrigation Project. The reservoir’s original purpose was water storage and flow regulation for the Florence-Casa Grande and Casa Grande Canals. The lake’s design capacity was 24,500 acre feet (30,200,000 m3) of water, with a surface area of over 2 square miles (5.2 km2). Over the years, siltation and vegetation have reduced the capacity and surface area, so that much of the reservoir is a shallow marsh with extensive stands of cattails and rushes. Water level is highly variable, and the lake is completely dry in some years. Fish species include Largemouth Bass, Crappie, Sunfish, Catfish (Channel), Tilapia, Carp and Bullfrogs. Coconino County, AZ – Take the 87 North out of Phoenix pass Strawberry, take a right on Rim Rd or Forest Service Rd 613. You will see signs at that point to the lake about 15 minutes away. Navajo County, AZ – By damming Walnut Creek in 1903, Mormon settlers created Rainbow Lake. Eventually, the settlement grew into the Town of Lakeside, now incorporated as the Town of Pinetop-Lakeside. Despite now being surrounded by homes, Rainbow Lake remains open to the public for fishing, boating, bird watching or just enjoying the outdoors. Rainbow Lake, which is managed by the Arizona Game and Fish Department, is located near the heart of Lakeside at 6,760 feet (2,060 m). The land surrounding the lake is privately owned and inaccessible to the public; however, the Department owns a small parcel of land adjacent to the dam, and maintains it for public fishing and recreational boating. Rainbow Lake is 116 acres (0.47 km2), and has a maximum depth of 14 feet (4.3 m) and an average depth of 7 feet (2.1 m). Currently, the Arizona Game and Fish Department stocks catchable-sized rainbow trout in the spring and early summer. Naturally propagating warm water species include largemouth bass, channel catfish, black bullhead, bluegill and green sunfish. The lake also contains illegally introduced northern pike. Because it is shallow and weedy, Rainbow Lake is subject to water quality problems. Fish species include Rainbow, Largemouth Bass, Sunfish and Catfish (Channel). Apache County, AZ and McKinley County, NM – Red Lake is a lake located next to Navajo, NM, in the Red Valley in McKinley County, New Mexico and Apache County, Arizona. The lake has a surface elevation of 7,150 ft (2,180 m). Navajo, NM lies on the southeast corner of the lake. Red Lake is a small lake, only 3 miles (5 km) long, and only half as wide. It is mostly north-south and is bordered on the east by Reservation Route 12, a north stretch from Window Rock, AZ to Navajo, NM and then northeast to Crystal, NM. Red Lake is located on the eastern border of the long north-south Defiance Plateau, where Canyon de Chelly comprises its north, and the Chuska Mountains border to the northeast. Only the western fourth of the lake is in Arizona, and Red Lake is on the southwest foothills of the Chuska’s with the beginning of Black Creek (Apache County) and other creeks and washes as inflows to the lake. From Red Lake, Black Creek flows due south on the central and southeast border of the Defiance Plateau. The north-south stretch of Black Creek, in Arizona, parallels the western border of New Mexico. Black Creek then turns southwest to meet the Puerco River, just southeast of Houck, Arizona, southwest of Allentown, Arizona, both on Interstate 40 in Arizona. The interstate follows the north side of the Puerco River in this stretch. Apache County, AZ – Reservation Lake is located one mile north of Greer. Fish species include Brown Trout. Graham County, AZ – Riggs Flat Lake is located on the top of the Pinaleño Mountains, 40 miles (64 km) southwest of Safford. Apache County, AZ – Originally built in 1896 on the Little Colorado River, River Reservoir is the largest and deepest of a trio of lakes collectively known as the Greer Lakes. Drained since 2004 because of safety issues, the dam at River Reservoir was repaired in 2005. Like the other two Greer Lakes, it also has new amenities. River Reservoir is located at 8,220 feet (2,510 m) on the Apache-Sitgreaves National Forests. River Reservoir has 50 acres (20 ha) with a maximum depth of 45 feet (14 m) and an average depth of 20 feet (6.1 m). The Arizona Game and Fish Department stocks River Reservoir with fingerling rainbow trout in the spring and catchable-sized rainbow trout in the spring and summer. Like its two neighboring reservoirs, River gets a few brown trout from the LCR diversion that refills it in the winter, but browns are not stocked here. Coconino County, AZ – Rogers Lake is located 10 miles southwest of Flagstaff. It is accessed by Woody Mountain Road and Forest System Road #231. Graham County, AZ – Roper Lake State Park is a state park of Arizona, USA, surrounding 32-acre (130,000 m2) Roper Lake. The park is located off U.S. Route 191, 5 miles (8.0 km) south of Safford, at the Gila River and Valley. The land for the park, formerly a ranch, was purchased by the state in 1972 in order to construct a reservoir. Roper Lake State Park includes a boat ramp, a natural stone hot tub, a beach for swimming, a picnic area, a campground, and cabins. The lake is stocked with bass and trout, and boats are limited to small electric motors. Hiking trails are available, and the park is an excellent place for birdwatching. This scenic park in southeast Arizona is in a beautiful location surrounded by the sky island Pinaleño Mountains range, including Mount Graham. In another part of the park is Dankworth Pond, located about 3 miles (4.8 km) south. This 15-acre (61,000 m2) pond also offers fishing, a picnic area, and hiking trails. Gila County, AZ – Theodore Roosevelt Lake (usually called Roosevelt Lake, sometimes Lake Roosevelt) is a large reservoir formed by Theodore Roosevelt Dam on the Salt River in Arizona as part of the Salt River Project (SRP). Located roughly 80 miles (130 km) northeast of Phoenix in the Salt River Valley, Theodore Roosevelt is the largest lake or reservoir located entirely within the state of Arizona (Lake Mead and Lake Powell are larger but both are located partially within the neighboring states of Nevada and Utah respectively). Both the reservoir and the masonry dam that created it, Roosevelt Dam, were named for U.S. President Theodore Roosevelt who dedicated the dam himself in March 1911. Roosevelt Lake is a popular recreation destination within the Tonto National Forest, as such the facilities located at this lake are managed by that authority. Roosevelt Lake is the oldest of the six reservoirs constructed and operated by the Salt River Project. It also has the largest storage capacity of the SRP lakes with the ability to store 1,653,043 acre feet (2.039 km3) of water when the conservation limit of Roosevelt Dam is reached. When the dam is in flood-control mode, the lake can store 2,910,200 acre-ft (3.590 km3) of water; however, the U.S. Army Corps of Engineers requires all water over the conservation limit to be released from the lake within 20 days. Roosevelt Lake is located in central Arizona almost entirely within Gila County although a small portion lies in Maricopa County. Located about 4 miles (6 km) upstream from Apache Lake (the next SRP reservoir on the Salt River), Roosevelt Lake occupies about 10 miles (16 km) of the original Salt River riverbed and also extends for about 8 miles (13 km) up Tonto Creek, a significant tributary of the Salt with its headwaters along the Mogollon Rim. The lake covers much of the southern portion of the Tonto Basin, a low lying area between the Sierra Ancha Mountains, Mazatzal Mountains (including Four Peaks), and the Superstition Mountains. State Route 188 travels along the shore of the lake for much of its length. Tonto National Monument is located 4 miles (6 km) from Roosevelt Dam, parts of the monument provide views of much of the reservoir. Fishing is a common recreational activity at Roosevelt Lake. The lake is home to a variety of game fish including crappie, carp, Sunfish, flathead and channel catfish, and smallmouth bass and largemouth bass. There is a slot size limit for the bass. Only one bass can be taken per day measuring between 13 and 16 inches. Until recently, it also hosted the state’s most significant population of the federally endangered Southwestern Willow Flycatcher. Since the lake’s rise following heavy rains in the winter of 2005, the population dynamics between this site and the other significant Arizona population (on the San Pedro River) are unclear. Roosevelt Lake is located 80 miles east of Phoenix. Pima County, AZ – Rose Canyon Lake is located 30 miles (48 km) northeast of Tucson, Arizona. Coconino County, AZ – Russel Tank is located between Williams and Tusayan in North Central Arizona. Fish species include Rainbow Trout and Yellow Perch. Maricopa County, AZ – Saguaro Lake is the fourth reservoir on the Salt River formed by the Stewart Mountain Dam in the U.S. state of Arizona. The lake is off State Route 87, about halfway between Phoenix, Arizona and the ghost town, Sunflower. The dammed end of the lake is at 33°33’56?N 111°32’10?W? / ?33.5656°N 111.5361°W? / 33.5656; -111.5361, at an elevation of 1,506 feet (459 m). This lake is also part of the Tonto National Forest, as such the facilities located here are managed by that authority. Fish species include Rainbow Trout, Largemouth Bass, Smallmouth Bass, Yellow Bass, Crappie, Sunfish, Catfish (Channel), Walleye, Tilapia, Yellow Perch and Carp. Gila, Graham and Pinal Counties, AZ – San Carlos Lake was formed by the construction of the Coolidge Dam and is rimmed by 158 miles (254 km) of shoreline. The lake is located within the 3,000-square-mile (7,800 km2) San Carlos Apache Indian Reservation, and is thus subject to tribal regulations. It is located 25 miles east of Globe Arizona. After it was built, the reservoir filled gradually. Because of irrigation needs, the water level at the lake sometimes is low enough to kill its self-sustaining fish, but during wet years, the water can overtop Coolidge Dam. Since construction of the dam, the lake has been nearly empty at least 20 times, and has been full only three times. Soda Canyon Point Campground is located on the north side of the lake. Since the lake level varies greatly during the summer, visitors are advised to call the San Carlos Apache Recreation & Wildlife Department to determine the current lake level. San Carlos Lake is stocked periodically, and after winters with average or above average precipitation, is one of the largest lakes in Arizona. The San Carlos Apache Tribe Recreation & Wildlife Dept. stocks several species of fish using various methods to improve fishing. Several species are self-sustaining: Sunfish, Largemouth Bass, Black Crappie, Channel Catfish, Flathead Catfish and Bluegill. The lake has set state records for Largemouth Bass, Black Crappie and Flathead Catfish. Other fish are stocked from cold-water fisheries including brown trout and rainbow trout. Jet-skiing, water skiing and boating are also allowed. Individuals who are not members of the San Carlos Apache tribe who wish to use the lake must contact the tribal office for a permit since the lake is on tribal land. Coconino County, AZ – Santa Fe Lake is located near Williams in North Central Arizona, USA. Fish species include Rainbow trout, Brown trout, Crappie, Sunfish, Catfish (Channel) and Yellow perch. Navajo County, AZ – Built in 1928, Scott Reservoir is an irrigation impoundment on Porter Creek near Pinetop-Lakeside, Arizona. The least developed of the “in town” lakes, trees surround Scott Reservoir. It lies just outside the town limits on the Apache-Sitgreaves National Forests. Scott Reservoir covers 80 acres (32 ha) with an average depth of 10 feet (3.0 m), and lies at 6,720 feet (2,050 m) altitude. It is usually somewhat turbid, which helps control algae blooms and aquatic weeds. This, coupled with a perennial stream flowing in, means there are no real water quality problems. The lake is stocked with catchable-sized rainbow trout in spring, early summer and fall, and it is occasionally stocked with channel catfish. There are also a few largemouth bass. Navajo County, AZ – Show Low Lake is a 100-acre (0.40 km2) lake nestled at 6,500 feet (2,000 m) elevation in the White Mountains of Arizona which is administered by the Arizona Game and Fish Department along with the city of Show Low. Show Low Lake Park is located five miles (8 km) south of Show Low. Show Low Lake has 100 acres (0.40 km2) with an average depth of 33 feet (10 m) and maximum depth of 50 feet (15 m). It’s situated at an elevation of 6,500 feet (2,000 m). The lake maintains good water quality year round, and is stocked with rainbow trout from April through September. The Arizona Game and Fish Department occasionally stocks channel catfish. The lake also contains reproducing populations of walleye, largemouth and smallmouth bass, bluegill and green sunfish. Fish species include Rainbow, Largemouth Bass, Smallmouth Bass, Walleye, Brown Trout, Sunfish and Catfish (Channel). Coconino County, AZ – Soldiers Annex Lake is located 75 miles (121 km) southeast of Flagstaff in the state of Arizona. Long Lake is the main lake of the area. The facilities are maintained by Coconino National Forest division of the USDA Forest Service. Fish species include Largemouth Bass, Sunfish, Channel Catfish, Northern Pike, Walleye and Bullfrogs. Coconino County, AZ – Soldiers Lake is located 75 miles (121 km) southeast of Flagstaff in the state of Arizona. The facilities are maintained by Coconino National Forest division of the USDA Forest Service. Yavapai County, AZ – Between the Irving and Childs plants, the spring water exited the flume and tunnels and entered an artificial reservoir, Stehr Lake. Stehr Lake was built to create a backup water supply in case of low volume. The water rights of Fossil Creek, located between Pine/Strawberry and Camp Verde, Arizona, were purchased in 1900 by rancher Lew Turner. His goal was to generate hydroelectric power for sale to mining communities in the Bradshaw Mountains and Black Hills in Yavapai County, such as Jerome, Clarkdale, Crown King and many others. Arizona Power Company began construction of the Childs power plant in 1908. Because the land around Fossil Creek consists mainly of mountainous terrain and canyons, and the nearest railroad station was located in Mayer, Arizona, more than 400 mules and 600 men were used to pull over 150 wagons along the 40-mile (64 km) wagon trail. Other than the foreman and timekeeper, all of the workers were Apache and Mojave Indians, working for $2 per day. Once construction of the flume began, 120 to 150 feet (46 m) were constructed on a daily basis, costing around $100 per day. The Childs plant, located near the Verde River outlet of Fossil Creek. The Irving plant, located halfway between Childs and the Fossil Springs source, was constructed in 1916. The system of canyons and steep falls from the spring source to the Verde River outlet provided an ideal location for a hydroelectric plant. The constant flow of 43 cubic feet per second was also a factor in powering the plants through Fossil Springs. Once completed, the Childs plant produced 2.8 megawatts of electrical power. When the Childs plant was built by the Arizona Power Company in 1908, they raised money through investment bonds sold by William Bonbright and Company. The Childs Plant was named for S. W. Childs, the Bonbright Company’s bond-broker. The Irving plant was named for Irving Bonbright, a co-founder of the Bonbright Company. The reservoir known as Stehr Lake was named for Frederick W. Stehr, treasurer of the Arizona Power Company. In 1999, after consideration and negotiation with environmental and community stakeholders, Arizona Public Service announced it had decided to decommission the Childs-Irving plant and restore full flow of Fossil Creek’s waters to its stream bed. APS felt that because of the stream’s unique qualities, decommissioning the plant was a rare opportunity to return the area to its original condition. The benefits to the public associated with restoring this unique stream to its natural flowing state outweighed the business benefits the facility provided APS. Coconino County, AZ – Stoneman Lake is a small lake located in northern Arizona, about 30 mi (48 km) south of the city of Flagstaff. Like the nearby Mormon Lake, it is one of the few natural lakes in Arizona. Stoneman Lake is small and shallow, with an average surface area of less than 100 acres (40 ha) and depth of less than 10 ft (3.0 m). As such, it is subject to considerable fluctuations due to local rainfall and snowmelt conditions, and may even dry up completely. Due to the lake intermittently drying up, the availability of fish in the lake is unreliable. Nevertheless, in wet years northern pike and yellow perch are stocked here, and the lake is the location of the state record yellow perch caught in 1984. Recreational activities are generally limited to boating, wildlife viewing and camping. Of particular interest to geologists and of some minor debate is the origin of the lake. The lake fills a nearly circular basin in a region with some historical volcanic activity, leading to the possibility that the lake is either a crater lake or a filled in sinkhole. Evidence exists to support both conclusions. is located 30 miles east of Pinetop, Arizona. Maricopa County, AZ – Tempe Town Lake is a reservoir that occupies a portion of the currently dry riverbed of the Salt River as it passes through the city of Tempe, Arizona just north of Tempe Butte. On July 20, 2010, a portion of the west side of the dam that contained the water in the lake collapsed sending a flood of water into the Salt River bed which drained the lake. In March 1989, Tempe adopted the Rio Salado Master Plan which represented the culmination of more than 20 years of environmental land planning. Studies of water quality and usage, the Mill Avenue Bridges and ASU recreation ensued and programming began. A groundbreaking ceremony near Tempe Beach Park marked the beginning of construction of the river channelization. The Rio Salado Master Plan showed a Town Lake concept with a continuous body of water between the north and south shores. Previously, the lake concept included islands; this concept was modified to meet the flow capacity of the river channel. In 1995, the City added more staff to the team dedicated to the Rio Salado project and began construction of a mile long bike path along the south bank of the river. The path features public art at a number of spots along the way. The city began the Town Lake design report and completed another financial capacity study and landscape designs for portions of the parks. The next year, the consultant completed construction drawings for the Tempe Town Lake and the City designated 800 acres (3.2 km2) of area including the lake as Rio Salado Park. On March 19, 1997, requests for bids were sent out for the lake construction. The city awarded contacts for construction of the lake on June 12, and groundbreaking ceremonies were held on August 8. Water from the Central Arizona Project (CAP) started flowing into Tempe Town Lake on June 2, 1999, and by July 14, the lake was declared full. On November 7, Tempe Town Lake was opened to the public. Originally built in 1931, Tempe Beach Park was completely renovated in 1999 as part of the construction of Town Lake. The park connects to the 5 miles (8.0 km) of paths for bicycling, jogging or in-line skating that circle Town Lake. The historic baseball field plays host to baseball and softball games, as well as carnival games. In 2002, the $1.3 million Splash Playground was opened in Tempe Beach Park. The 1-acre (4,000 m2) playground is both a way for kids to have fun in the water, and to learn about the water cycle. Only about two inches of water will pool in parts of the park. The water is kept flowing across the playground, where it is eventually collected, filtered, cleaned, and re-circulated in a state-of-the-art system. The amphitheater accommodates 5,000 people for concerts or outdoor trade shows. Rio Salado Cruise Company operates its boat concession out of the beach park. The Arizona State University Sailing Club, the Arizona Yacht Club and private boat owners sail out of the Tempe Town Lake Marina on the north bank of the lake. Several rowing clubs practice and race on the lake, including Rio Salado Rowing Club, Arizona State University’s Rowing Club, Tempe Town Lake Rowing, Tempe Junior Crew as well as many private owners. All boat owners must have a license as well. The Arizona Dragon Boat Association, the Gila Dragons Dragon Boat Team and several Outrigger Clubs all have their home on the lake. Tempe Town Lake at sunset on the Fourth of July with crowd waiting for the annual fireworks display with the Mill Avenue Bridges in the background. Annual events at Tempe Beach Park include the Tostitos Fiesta Bowl New Year’s Eve Block Party, Circle K Tempe Music Festival, Oktoberfest, APS Fantasy of Lights, Fourth of July fireworks show, and AVP Pro Beach Volleyball (now held in Glendale as of 2007). In addition, several regattas for rowing, sailing, and kayaking occur throughout the year. There is also the annual Rowers Triathlon, which consists of a 4000 meter erg piece, body circuits, and a five kilometer run. Tempe Beach Park also hosted the Rockstar Uproar Festival on September 19, 2010. The festival drew a huge crowd filling the park with thousands of rock fans. The lake was completed in 1999, using inflatable rubber barriers in the riverbed to confine water within its boundaries. It is nearly 3 km (2 mi) long, with an average surface area of 910,000 m² (224 acres), and an average depth of 4 m (13 ft), for a total average volume of 3,590,000 cubic metres (2,910 acre-ft). The maximum depth of the lake reaches 6 m (19 ft). The lake was initially filled with 3,800,000 cubic metres (3,080 acre-ft) of water purchased from the Central Arizona Project. Evaporation and other water losses of 6,400 cubic metres (5.2 acre-ft) per day are compensated through additional purchase of CAP water, exchanges of reclaimed water, and long-term storage credits. Seepage losses are virtually nil, thanks to a system that recaptures virtually all seepage and pumps it back into the lake. A park surrounds the area, along with office and residential highrises such as SouthBank, Grigio, Northshore Condominiums, Onyx Tower Condominiums, Rio West, Plaza Del Rio and Hayden Ferry Lakeside. The lake is used for practice by the ASU rowing team. The lake has fishing, boating (by permit and by day rental which can be purchased at the Rio Salado Operations Center), and an excursion cruise, the “Rio Salado Cruise.” The lake also hosts a small marina on the northern shore. Tempe Beach Park is home to several major annual events including Tempe’s yearly Independence Day Celebrations and the Tempe Music Festival. Tempe Town Lake is stocked with rainbow trout on a monthly basis from November to February. Other species found in the lake naturally include largemouth bass, yellow bass, tilapia, carp, channel catfish and bluegill. An Arizona fishing license is required to fish in the lake. All motor vehicles are required to have a four stroke marine engine. The Topock Marsh is one of the larger birdwatching sites found in the Lower Colorado River Valley, found from south of Hoover Dam to the Colorado River Delta in Mohave County, Arizona. This public land is managed by the US Fish and Wildlife Service, and available to the public for recreational purposes. Fish species include Largemouth Bass, Crappie, Sunfish, Catfish (Channel), Carp and Bullfrogs. is 30 miles southeast of Fort Apache Arizona. Apache County, AZ – Tunnel Reservoir is an artificial lake and recreational area located in the White Mountains around the town of Greer, Arizona. This reservoir is one of three lakes known as the Greer Lakes. The Greer Lakes include Bunch, Tunnel and River Reservoirs, and are a short distance apart from each other. The boating facility offers a boat launching area, boat trailer parking, restrooms, and space for recreational vehicles. The reservoir is stocked with Rainbow and Brown trout species. Yavapai County, AZ – Watson Lake is one of two reservoirs at the Granite Dells, outside of Prescott, Arizona that was formed in the early 1900s when the Chino Valley Irrigation District built a dam on Granite Creek. The City of Prescott bought the reservoir and surrounding land in 1997 to preserve it as recreational land. Local rockclimbers use the granite cliffs above and adjacent to the lake for top-roping and lead climbing. Fish species include Largemouth Bass, Crappie, Sunfish, Catfish (Channel) and Carp. Coconino County, AZ – Whitehorse Lake is located 19 miles (31 km) southeast of Williams in North Central Arizona. Fish species include Rainbow Trout, Largemouth Bass, Sunfish, Catfish (Channel) and Brown Trout. Navajo County, AZ – White Mountain Lakes Estates, also known as White Mountain Lake, is an unincorporated community in Navajo County, Arizona, United States. White Mountain Lakes Estates is 7.5 miles (12.1 km) north-northeast of Show Low. White Mountain Lakes Estates has a post office with ZIP code 85912; the post office uses the name White Mountain Lake. Navajo County, AZ – Located in the heart of Pinetop-Lakeside, Woodland Lake and the park surrounding it have been called the town’s “Crown Jewel.” In addition to trout fishing, the lake provides a host of other outdoor recreation opportunities. Woodland Lake lies on Apache-Sitgreaves National Forests property, just west of White Mountain Blvd. in Pinetop. Woodland Lake is situated at 6,893 feet (2,101 m). At full capacity, it has a surface area of 18 acres (7.3 ha) with a maximum depth of 20 feet (6.1 m). Because the lake is part of the local irrigation district, at drawdown, it averages 10 acres (4.0 ha). It is shallow and nutrient rich, making it subject to water quality problems in the summer. For this reason, the lake is stocked primarily with catchable-sized rainbow trout in the spring and early summer. The lake also contains a few largemouth bass and channel catfish. The town of Pinetop-Lakeside maintains Woodland Park, which includes hiking trails, picnic tables and ramadas, barrier-free restrooms, a sand volleyball court, tennis court, two children’s playgrounds, some ball fields, a boat ramp and a barrier-free, floating fishing dock. Coconino County, AZ – Woods Canyon Lake is a small lake located in northern Arizona, about 30 mi (48 km) east of the city of Payson. It is one in a series of small, canyon-bound lakes located on the Mogollon Rim (27 miles Southwest of Heber on State Route 260), collectively referred to as the Rim Lakes. It is among the more developed and accessible of the Rim Lakes. It is also the first reservoir on Chevelon Creek, upstream from Chevelon Canyon Lake. Woods Canyon Lake is small and moderately deep, having an average depth of 25 ft (7.6 m) and a surface area of 55 acres (220,000 m2). The long, narrow lake is formed by an earthen dam impounding the Chevelon Creek in Woods Canyon. It was created primarily for recreational purposes. The lake is accessed via paved forest roads that are open most of the year, although access may be restricted due to snow during winter months from December to April. During the summer months the lake is regularly stocked with rainbow trout, and brown trout can also be found in the lake. The lake is well developed, having numerous maintained campsites, facilities for recreational vehicles, and access for boats on the lake. The facilities are maintained by Apache-Sitgreaves National Forest division of the USDA Forest Service. Maricopa County, AZ – Alvord Lake is an urban fishing lake located in Cesar Chavez Park in Laveen, Arizona, at the southwest corner of 35th Avenue and Baseline Road. Fish species include Largemouth bass, Sunfish, Catfish (channel). Maricopa County, AZ – Evelyn Hallman Pond, at Evelyn Hallman Park (formerly Canal Park) this is a small man-made lake located west of Scottsdale Road and south of McKellips Road in the northern part of Tempe, Arizona. Lying on the east side of the Cross Cut Canal (from where it gets its water) it must be reached from the east. Park and lake were renamed in 2006 for Evelyn Hallman, mother of mayor Hugh Hallman. Fish species include Rainbow Trout, Largemouth Bass, Sunfish, Catfish (Channel), Tilapia and Carp. Maricopa County, AZ – Chaparral Lake is located in Chaparral Park in west Scottsdale, at the northeast corner of Hayden and Chaparral Roads. Fish species include Rainbow trout, Largemouth bass, Sunfish, Catfish (channel), Catfish (flathead), Tilapia and Carp. Maricopa County, AZ – Cortez Lake is located in Cortez Park in northwest Phoenix, at the northeast corner of 35th Avenue and Dunlap Avenue. Fish species include Rainbow trout, Largemouth bass, Sunfish, Catfish (channel) and Carp. Maricopa County, AZ – Desert Breeze Lake is located in Desert Breeze Park in west Chandler, southwest of Ray Road and McClintock Drive on Desert Breeze Boulevard.